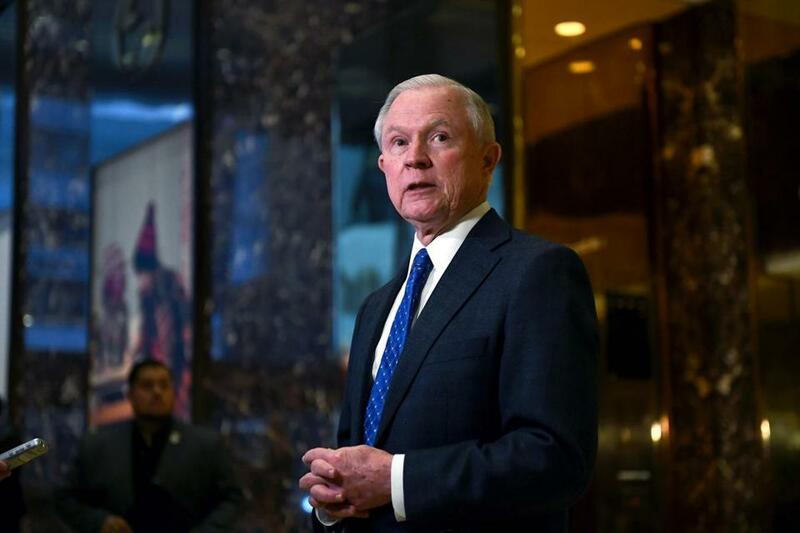 US Senator Jeff Sessions of Alabama talked to the media at the Trump Tower in New York on Thursday. WASHINGTON — President-elect Donald Trump made his first Cabinet selection Friday, tapping Senator Jeff Sessions, the conservative hard-liner and Trump loyalist from Alabama who has previously confronted accusations of racism, to be his nominee for attorney general. The prospect of Sessions at the helm of the Justice Department triggered an immediate firestorm among liberal lawmakers and civil rights organizations, who spent Friday denouncing Trump’s choice and relitigating Sessions’ controversial history on civil and voting rights. 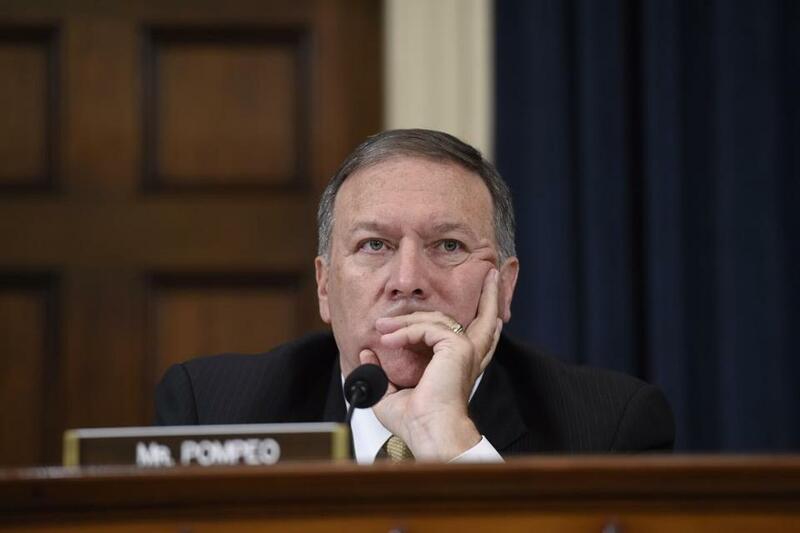 Representative Michael Pompeo, a Republican House member from Kansas, was selected as the nominee to lead the CIA. To serve, Sessions and Pompeo must be confirmed by the Senate. Democrats, when they had the majority in 2013, changed Senate rules to eliminate the filibuster for high-level nominations, so both men stand a strong chance of winning confirmation. “Can the Republicans step up and say, ‘No. 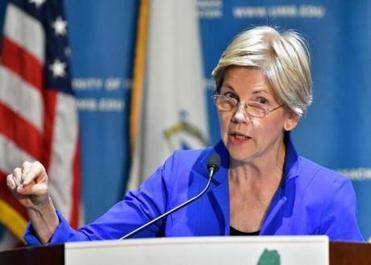 No to Jeff Sessions’?” Warren asked. For some, the combination of Sessions, Flynn, and an earlier pick, former Breitbart News chairman Steve Bannon as chief White House strategist, established a troubling trend for the president-elect. Rather than sending conciliatory signals with his picks, or reaching out to skeptical Democrats, Trump is naming loyal figures who are inflaming racial and partisan divides. Sessions’ confirmation hearings promise to reignite debates about Trump’s racially divisive campaign and the incoming administration’s approach to immigrations and minorities. Republican US Representative from Kansas Mike Pompeo. Sessions has repeatedly denied allegations of racism and has defended his comments to colleagues as friendly banter. Cornell William Brooks, president of the NAACP, implored the Senate to reject Sessions’ nomination. Senator Elizabeth Warren, Massachusetts Attorney General Maura Healey, and other Massachusetts political leaders joined in calling for the rejection of Sessions’ nomination. The incoming minority leader in the Senate, Democrat Chuck Schumer of New York, struck a slightly more neutral tone about Sessions, although he expressed concerns about Sessions’ commitment to civil rights enforcement at the Justice Department. Democrats “want to hear what he has to say,” Schumer said in a statement. Born Jefferson Beauregard Sessions III and sharing names with two Confederate heroes, the 69-year-old has been an uncompromising conservative firebrand in the Senate. A former US attorney and state attorney general in Alabama, Sessions was elected in 1996. In February, Sessions was the first senator to publicly endorse Trump’s unlikely presidential campaign, becoming a trusted surrogate and close adviser to the New York real estate mogul, who needed a link to Washington. Since Trump’s upset victory, Sessions has been considered a virtual lock to receive a key Cabinet nomination. 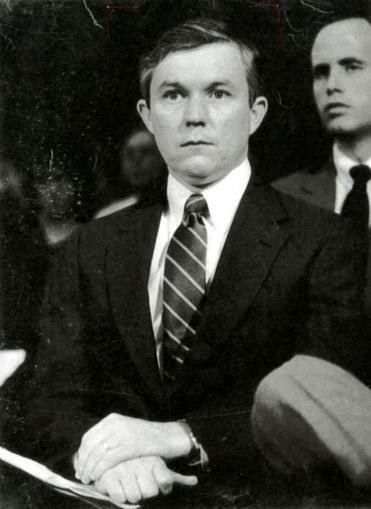 The Senate Judiciary Committee nomination hearing of Jeff Sessions in 1986. In response to critics, Sessions supporters cite an investigation led by Sessions when he was US attorney in Alabama, of the 1981 murder of a black man who was kidnapped, beaten, and killed by two Klansmen who hanged his body in a tree. The two men were later arrested and convicted. ‘‘He couldn’t have been more supportive of making sure we got convicted the murderers of the last black man who was lynched by the Klan,’’ former Justice Department attorney Barry Kowalski, who worked with Sessions, told the Associated Press. But the Congressional Black Caucus released a statement saying Sessions was unfit to serve as the country’s chief law enforcement officer. Black Caucus chairman G.K. Butterfield, a Democrat from North Carolina, called Sessions’ record on civil rights “appalling” and said it should disqualify him from Senate confirmation. “The Congressional Black Caucus stands ready to oppose Senator Sessions’ confirmation as we adamantly believe his appointment will set us back in the advancement of civil rights and race relations across the country,” Butterfield said. Healey, the Massachusetts attorney general, said Sessions has “made a career standing against many of our most important values as a state.” Many have wondered whether state initiatives will be challenged legally under a Sessions-led Justice Department. Massachusetts recently approved recreational marijuana and implemented early voting. “It is inconceivable to me that a person of this attitude is qualified to be a US attorney, let alone a US federal judge,” Kennedy said at the time. Astead W. Herndon can be reached at astead.herndon-@globe.com. Follow him on Twitter @AsteadWH.